Artists can rarely imagine what will happen to their work once they make it public. Will it be popular or not? Will people understand it or appreciate it? Hard to tell. Even harder to tell is whether the work will inspire others. The ads presented in this collection have been inspired by popular paintings, making the artworks a little more popular every time. 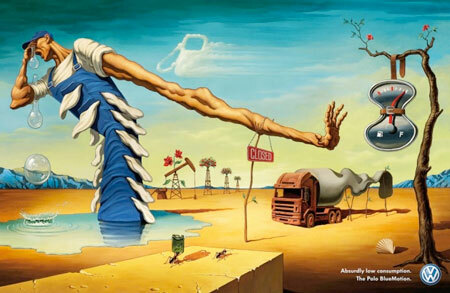 The surrealistic painter had created some ads himself, but not only. His style was also often copied in advertising. 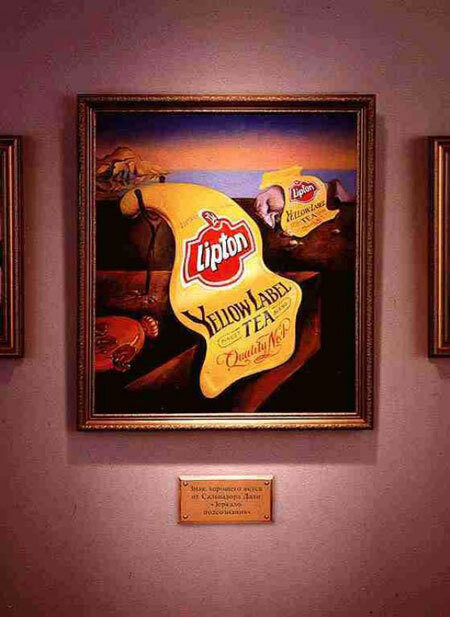 Lipton’s take on Dali’s famous melted watches, melted lipton labels. 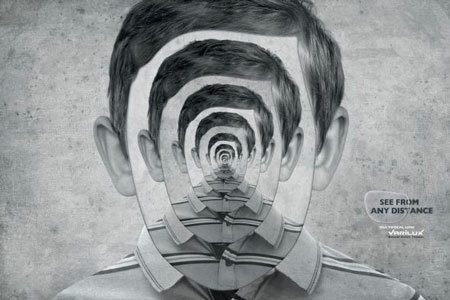 Volkswagen used the visual style, distorted people and objects, to advertise its cars. 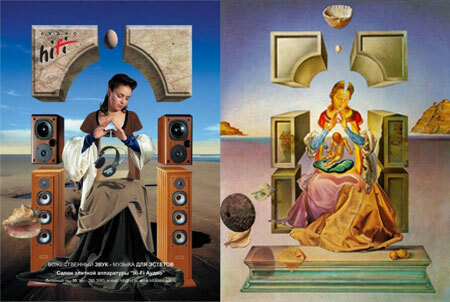 Russian brand Hi-Fi Audio’s advertising copying Dali’s Madonna of Port Lligat. The japanese ukiyo-e master was often copied, but it was more in popular culture than in advertising. 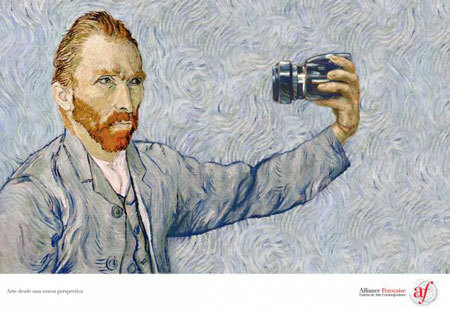 However, marketers did take advantage of some of his most famous painting. 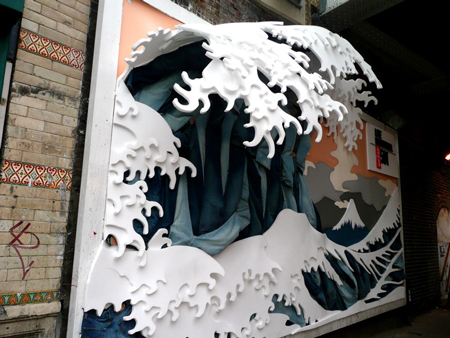 A great wave made of jeans for this Levi’s billboard. 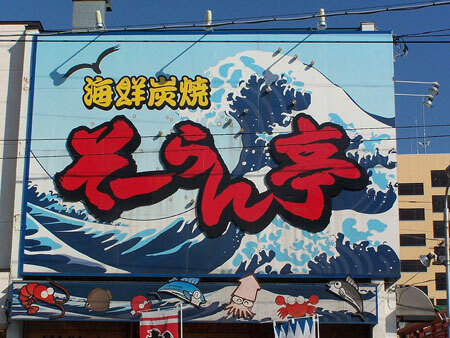 A billboard in Hokkaidō, Japan. If Leonardo’s descendants received a dollar for each ad published that was inspired by their ancestors, they could probably bail out Greece by now. 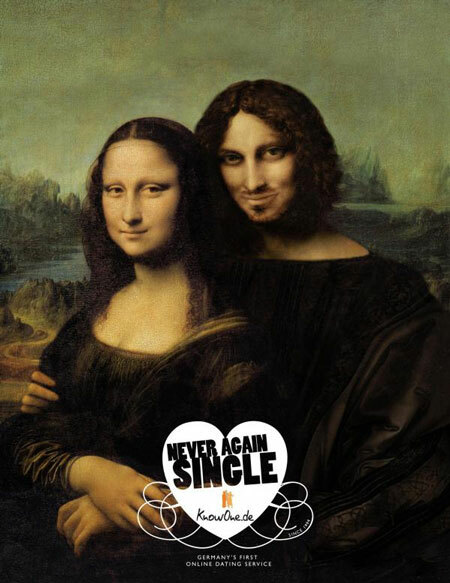 Mona Lisa gets some company for this online dating service commercial. 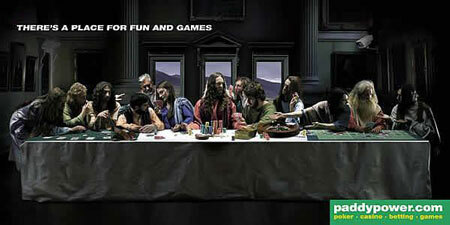 A blasphemous copy of the Last Supper to advertise some online gambling website. An encyclopedia that promises to get more information. 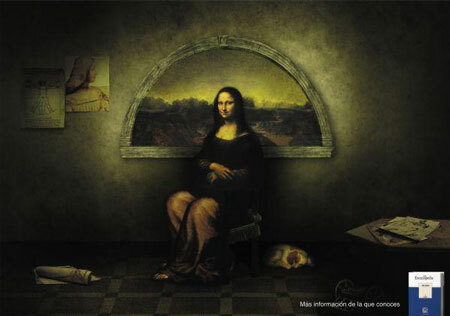 Pizza Hut also took on Mona Lisa by striking that same pose as Leonardo’s model on a photography. 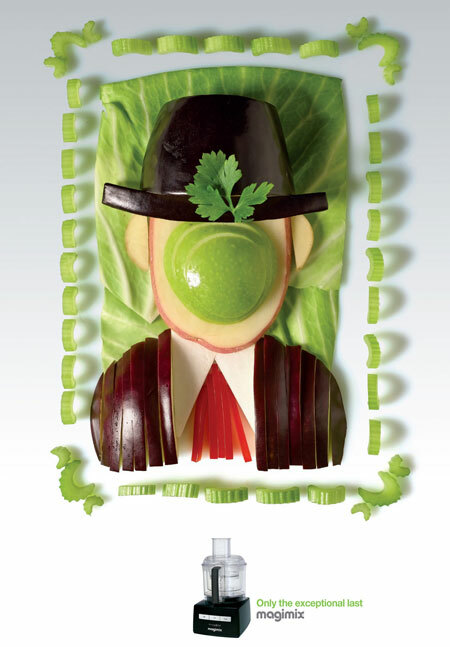 The spanish artist’s unusual shapes are often used by advertisers to create a visual reference. A fake Picasso created to advertise a fitness center in Czech Republic. 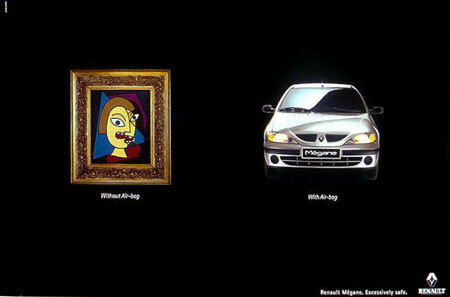 An ad for the Renault Megane, promoting the airbags and security. 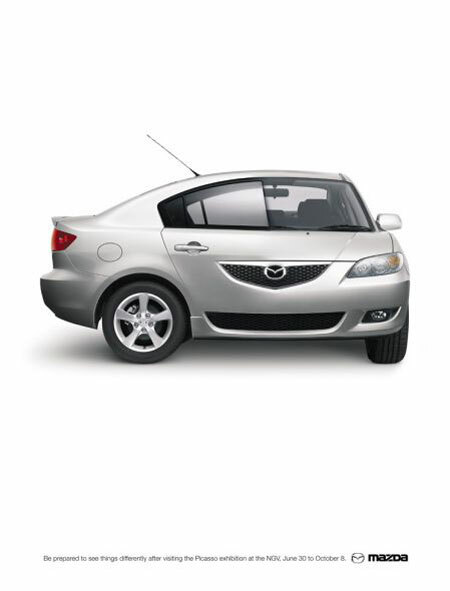 Excellent ads that creates a Picasso-style car for Mazda. 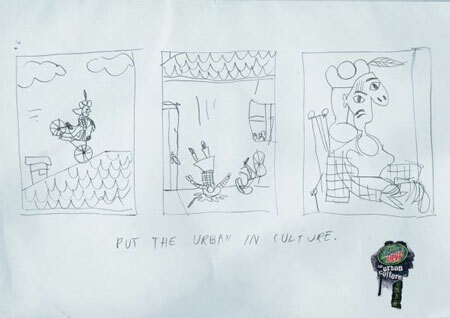 Here you find a Picasso quickly sketched on a Mountain Dew ad. To the general public, Auguste Rodin’s most famous work is by far the Thinker, a sculpture of a man sitting down in a thinking pose. 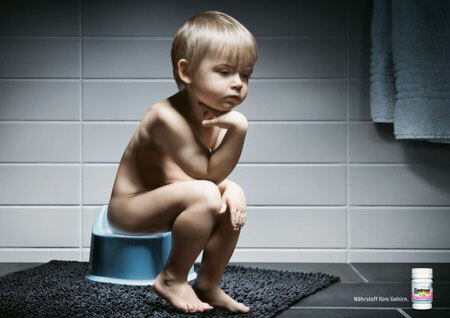 An ad for brain nutricient that tries to show the effects on the child by making him adopt the thinker pose. 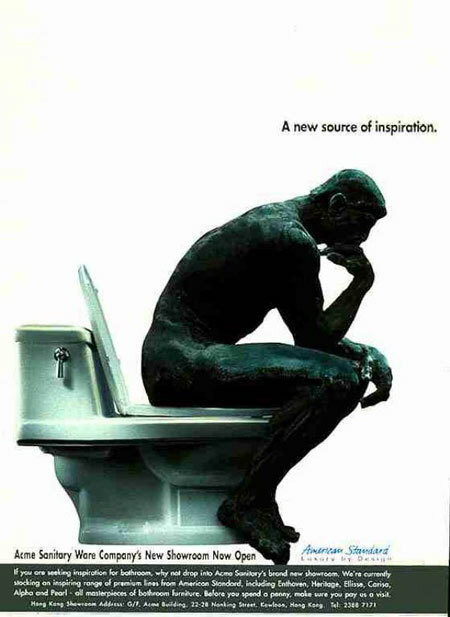 On Nova 96.9’s ad, the thinker comes as a background shadow. A poor taste one and probably a bad use of the sculpture in an ad. René Magritte is not the artist that was the most copied directly in advertising, but he is probably one of the painters who inspired the world of advertising the most in terms of ideas. 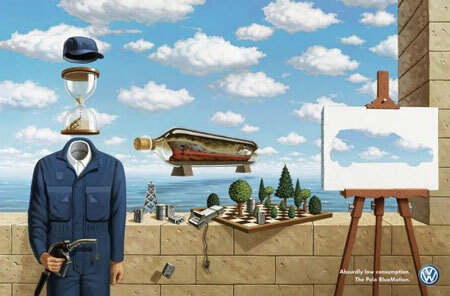 Volkswagen once again with an atmosphere inspired by Magritte’s paintings. Magritte’s self-portrait used to sell… a blender. Multi-focus lens well illustrated by this Magritte inspired visual. 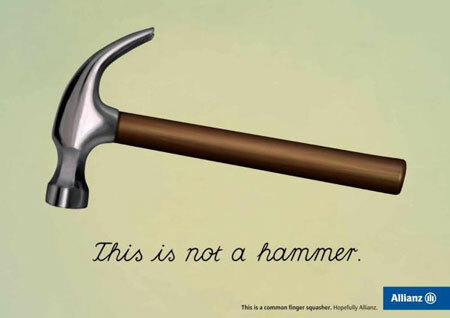 Allianz presents a hammer as a finger squasher, using for that the famous Magritte painting. 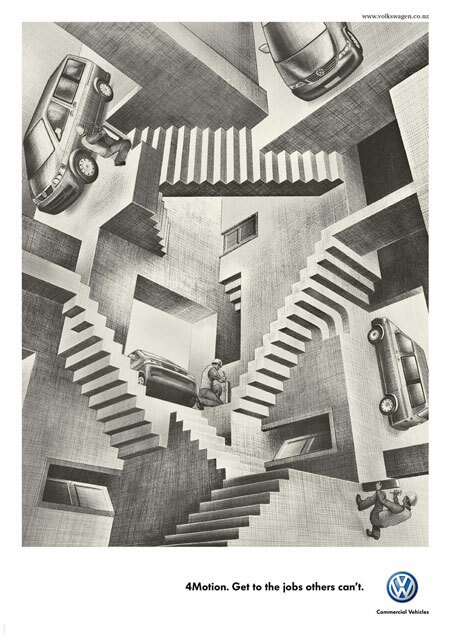 Escher is famous for his mind-tricking perspectives, often adapted in advertising. 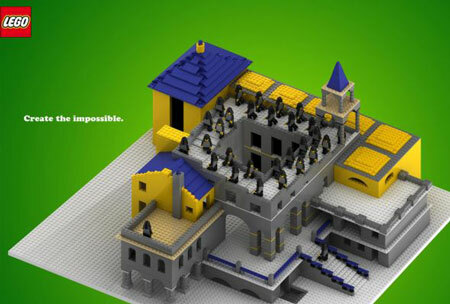 Brilliant take on Escher’s stairs by Lego, the slogan is just perfect: “Create the impossible”. Volkswagen put its cars in strange situations to sell their commercial vehicles. Warhol also was involved in advertising as an actor himself, his work was often inspired by products and ads, then became to subject of advertising itself. 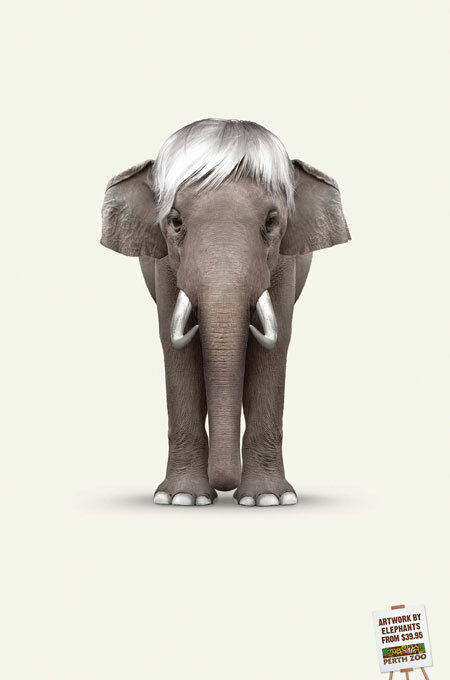 Warhol became such an icon himself that adding his hairstyle on an elephant makes the reference immediatly recognizable. 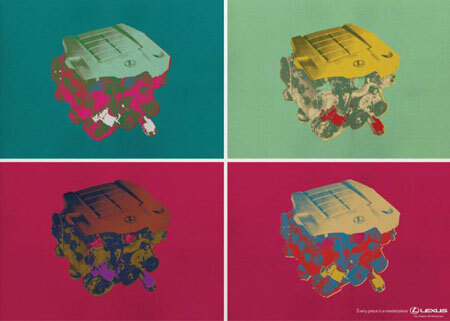 Lexus takes the visual style of Warhol to promote their products. 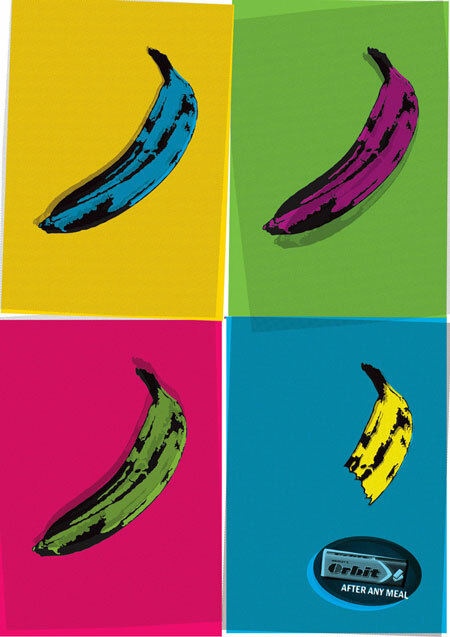 For no obvious reasons, Orbit uses Warhol-like design for its advertising. 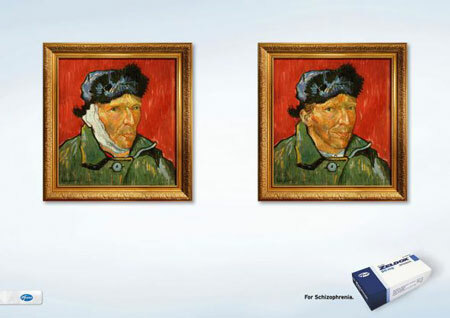 The flamish painter’s most famous paintings are often used in advertising, easily recognizable with their unique style. 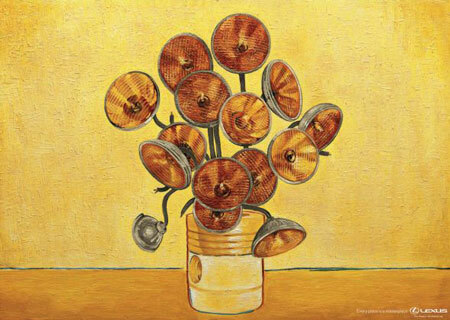 Van Gogh’s sunflowers have been replaced in this Lexus ad, pretty cool. Zeldox is a medicine for curing schizophrenia, they try to demonstrate how their product could have saved Van Gogh’s ear. 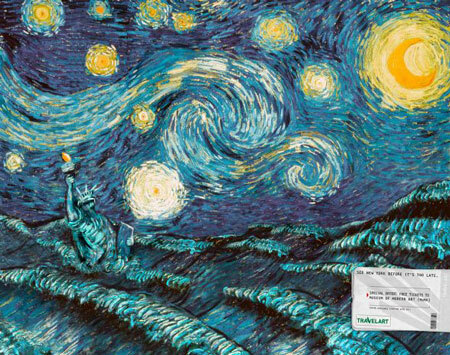 Not a very good ad if you ask me, but it does use a famous painting of Van Gogh. A brilliant one, the Alliance Française suggests you to discover new perspectives by learning french. Mondrian’s abstract paintings using basic colors influenced layout and color theory in his time, it also influenced advertisers later on. 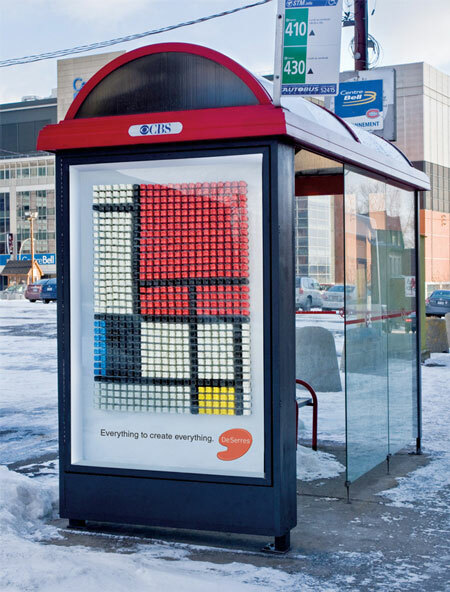 DeSerres is an art store that used over 600 bottles of paint that recreated a Mondrian on their ad. 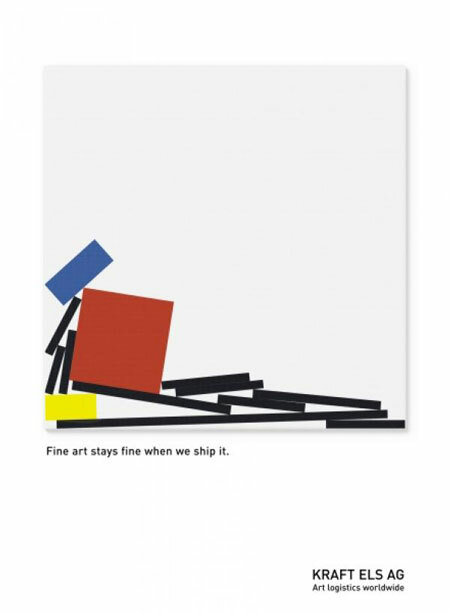 Art logistics company that makes sure that your artworks aren’t broke when they arrive, clever ad.